NHK BSプレミアム "Sweet H ..
Sweet Hirado, this story has been continuing in 400 years beyond time and space. The culture of sweets that 400 years ago crossed the seas from west to east has been interpreted in this new age transcending both cultures and time and will now travel the seas once again; from east to west. Hirado is an island located at the westernmost tip of Kyushyu. Through it’s strategic location and its connection with the sea it became Japan’s gateway to foreign land.A lot of foreign people such as the Dutch was freely living together in Hirado in 100 years at that time. 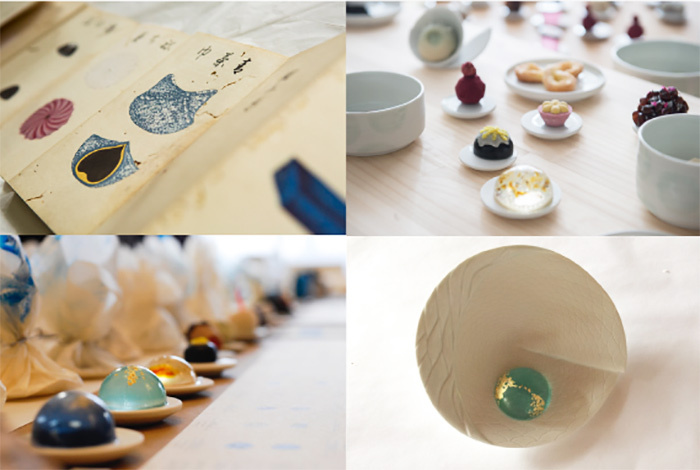 Today, 400 years later, the culture of tea and sweets are combined in ‘Sweet Hirado’, a project in which Dutch creators, INA-MATT and Roosmarijn Pallandt were invited to Hirado to work with the craftsmen of local sweetshops and porcelain. Together they created a new chapter to the unique Hirado sweet culture which will be presented to the world. Just as western sweet culture was introduced to the east, Hirado sweet culture will be introduced to the west….